Daljit’s yoga journey started in the early 90's when she joined a local class and found that practising yoga was life changing. She chose to start living more holistically, integrating health and well-being with mind and body. 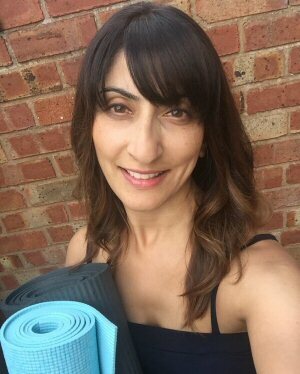 Daljit qualified as a yoga teacher with the British Wheel of Yoga and has been teaching weekly Hatha yoga classes since 2006, promoting a safe and nurturing environment that encourages self-discovery and non-competitiveness. “Yoga has been life enhancing for me, it’s such an ancient discipline, yet so simple, anyone can do it. I can’t imagine my life without yoga. I want to share this with others through my teaching”. Teachers that have inspired and influenced Daljit’s practice have used concepts from Feldenkrais, Rolfing movement and Body Rolling. She has also been working with Scaravelli inspired yoga teachers; some of these concepts will be incorporated into the sessions. The week of yoga is suitable for everyone including complete beginners. Daljit aims to create a friendly informal atmosphere combining fun with developing an awareness of alignment, flexibility, breath, relaxation and moving into postures through freedom not force. The morning sessions will include exploring yoga postures and sequences, encouraging each individual to reach their full potential while adapting postures and practices to suit differing abilities and physical limitations. The late afternoon sessions will focus on restorative practices and relaxation helping to nourish and create a peaceful mind, an open heart and more grounded attitude, all of which can help us to relax completely releasing unwanted tension. I recently attended a two week yoga trip in Kerala, India with Daljit, having been on other yoga holidays with her previously. Daljit's passion for yoga and how it can meaningfully impact on peoples daily lives comes across through who she is as a person and her approach to teaching. She is a warm and supportive teacher whose thoughtfulness and care for others is demonstrated within every class I have participated in. Daljit has a style which is inclusive of all people and she creates a lovely sense of community within the groups she teaches. Each holiday I have been lucky enough to go on with Daljit have been wonderful memorable experiences where I have deepened my own love of yoga and helped me develop my own practice further. I am looking forward to the next one!